Jack and Mabel move to Alaska to own a farm and live the life they've always dreamed of. Only life isn't quite what the imagined it to be. The void of not having a child is a big one but slowly the ice between the pair starts to thaw and they begin to loosen up and act care free again. This story could have been amazing but I think the author killed it some with the seriously dull Jack and Mabel. Mabel came across as just another spoilt brat, she didn't try to fit in with Jacks family by the sound of things but once she was never blessed with children it was the perfect excuse to separate herself from them all. She managed a little to get Jack to exclude himself from the family gatherings but the time finally came when she could do it completely by showing him an advert to own a farm in Alaska which he agreed, sold his share of the farm to his brothers and moved away. Like they say the Grass isn't Greener on the other side as it soon became apparent that they may have made the biggest mistake. Money was running short, the work was too much for one person, Jacks stubborness in not letting Mabel help as she should be in the kitchen but Mabels selfishness in not allowing Jack to get help as she wanted to be alone like they'd agreed! You read many pages full of Mabels grief at never having had children which is understandable but she didn't really do much to fill her days except stay at home (cook, clean and think about what could have been). 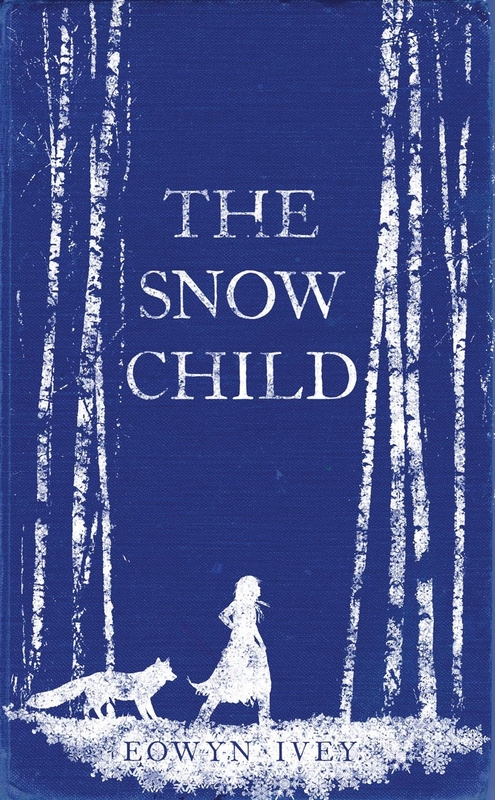 I loved the part of Mabel and Jack in the first snow, ending in them creating a snow girl... the snow child Faina becoming alive. Her part of the story was lovely and I would loved to have followed her more and learned more about her, her life etc... There were snippets of her life that were so fascinating especially in the 3rd part which shows just how amazing the book could have been if we followed her more. The other part that added to it was the way Esther (Mabel and Jacks Neighbours) breezed in and out bringing so much character and charm to the book also. I really thought that Esthers influence would loosen up Mabel but that didn't seem to be the case. The third part of the story has to be the worst, most unsatifactory part of it, the details were lovely but the whole attitude of Jack and Mabel annoyed me, by this time the child had been with them for 8 years so surely they would have picked up the fact that she was never there during summer, couldn't cope with being indoors, that mabel had the chance to change her future but choose to sit back wringing her hands, pacing and denying the facts once again. Resulting in a poor ending. Worst of all it was 1918, they were religious people surely what Jack saw in the woods was unacceptable and he'd put a stop to it, Mabel would explain to Faina the ins and outs of life etc... instead Jack punched someone, ignored it so the fact the author said they were like worried parents didn't ring true. All they did was provide her with a new coat each year, the odd item of clothing and some food.